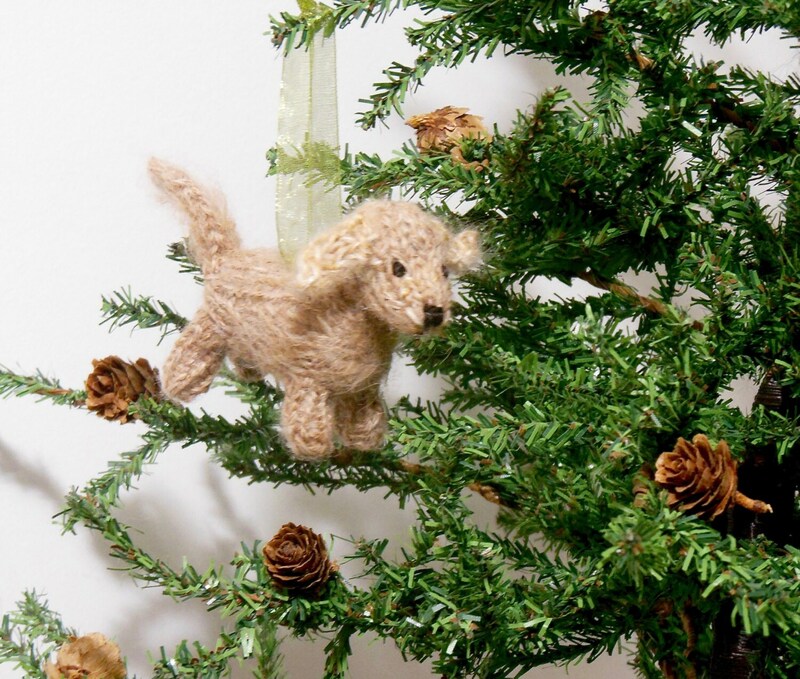 Every house needs an adorable puppy. 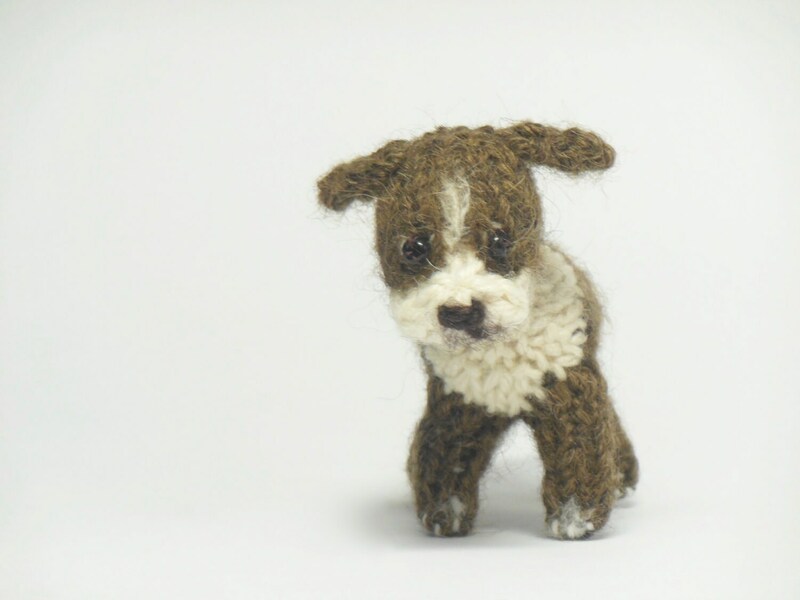 This miniature hand-knit brindle boxer is is approx. 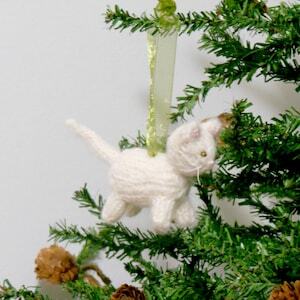 3.5" in length (including the tail). 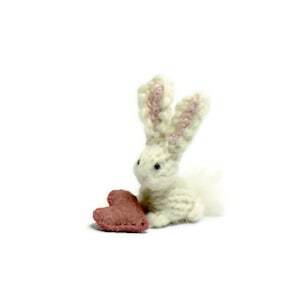 It is knit with tiny needles in an amazingly soft alpaca / merino blend yarn. 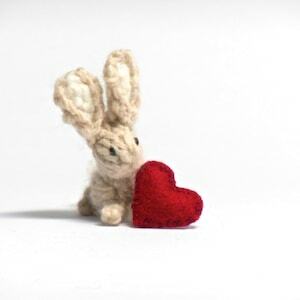 Some details are needle-felted on. 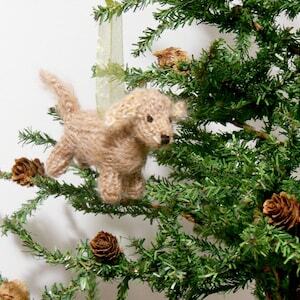 Last picture illustrates a knit puppy creation as an ornament. Okay. 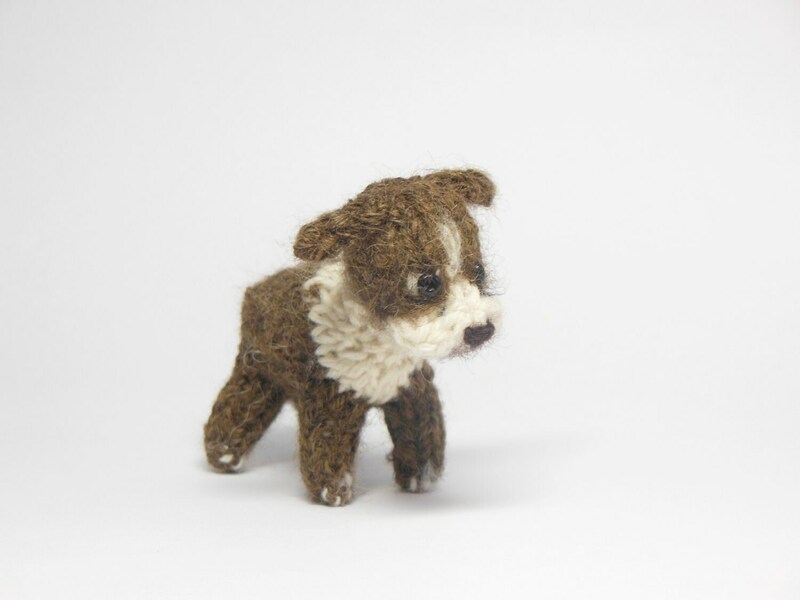 I have been shopping and buying on Etsy for years now, but to find something so absolutely adorable as this little dog is was a pure delight! I could hardly believe my eyes when I opened that beautiful little package. The work is perfection. 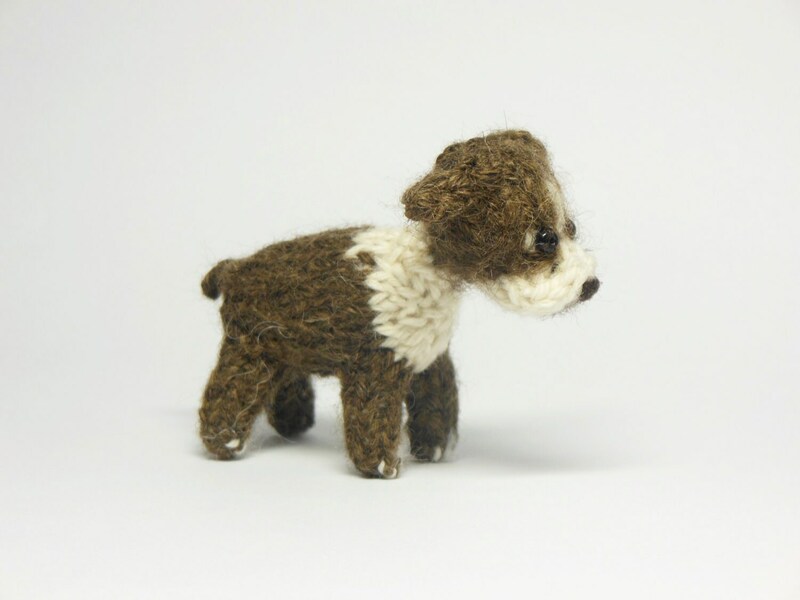 He is tightly stuffed and the tight knitting is just right. 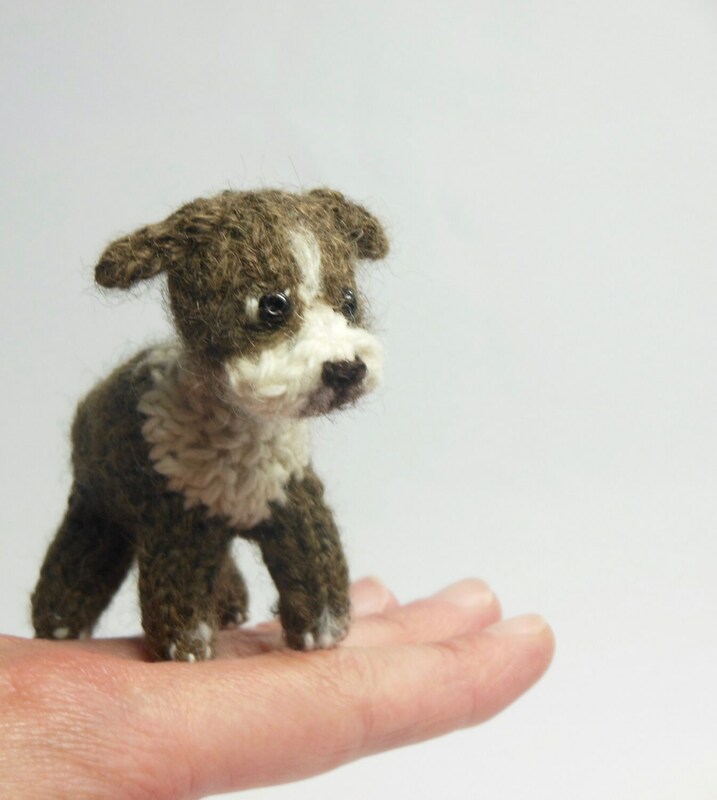 I never knew anyone could make and knit such an adorable little treasure. I love it so much. Thank you! Ordered multiple items. Couldn't be more pleased with each and every item. Excellent work. Beautifully done. Well packed ... shipped safely. Thank you so much!